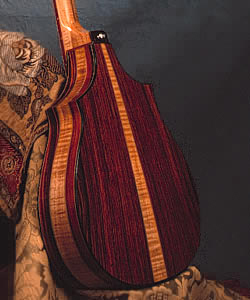 Our guitars are built in the traditional fashion. 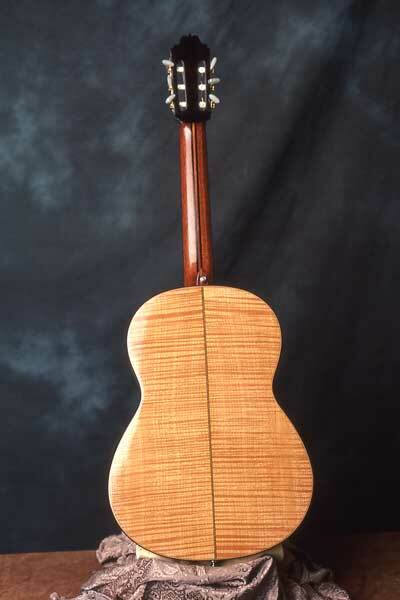 Spuce or Western Red Cedar are used on the top. 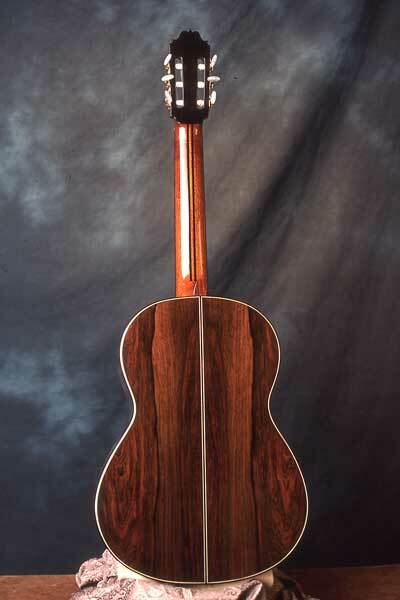 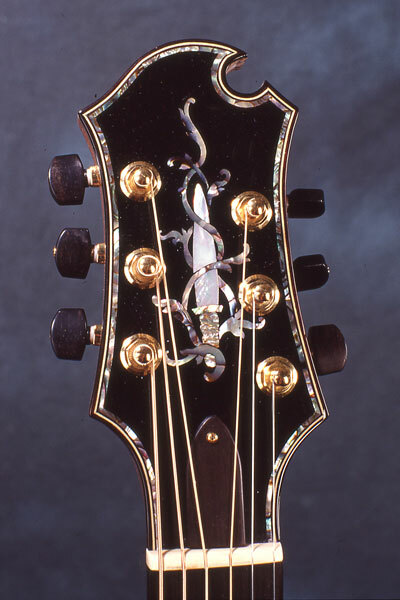 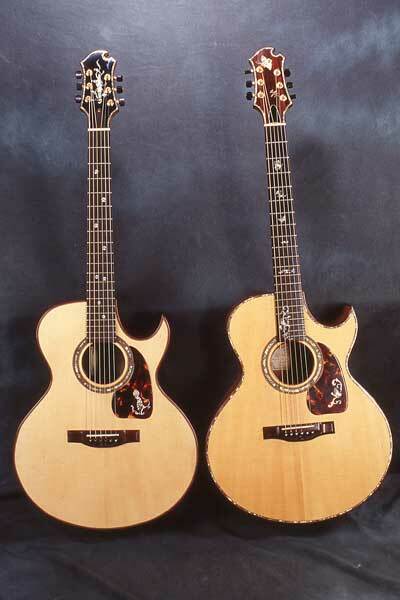 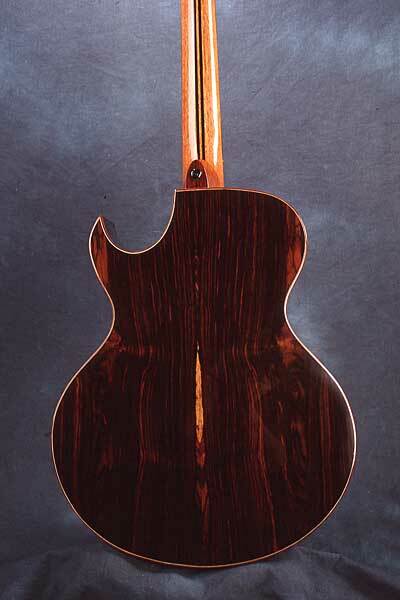 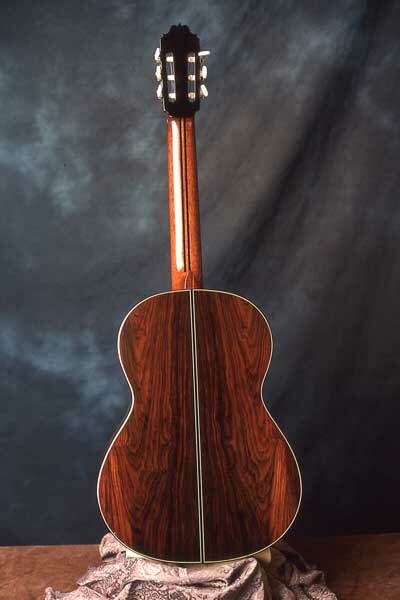 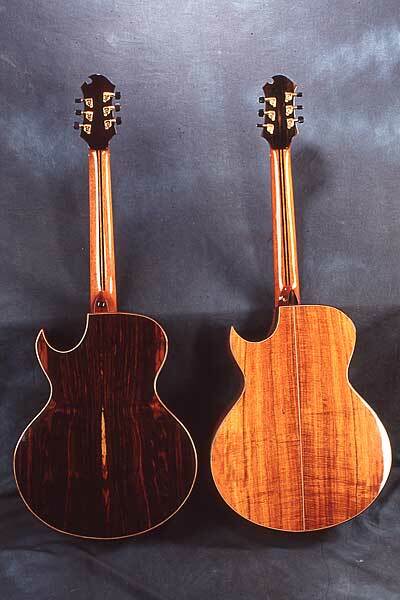 While a wide range of rosewood or maple may be used on the back. 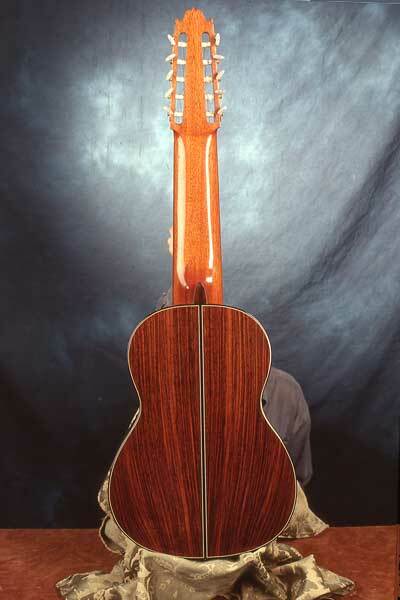 The necks are constructed with either Honduran mahogany or Spanish cedar. 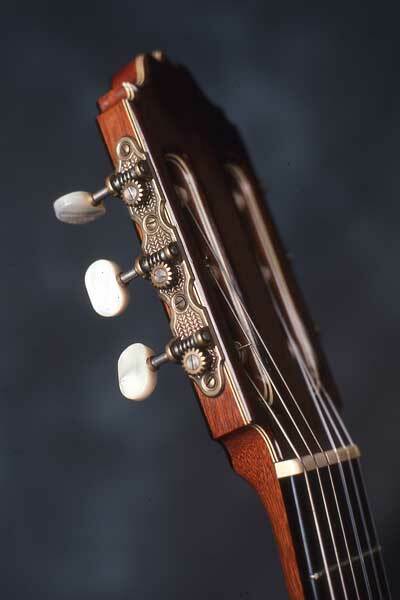 We use three string lengths in general and the are: 550 mm short, 600 mm medium, 664 mm long. 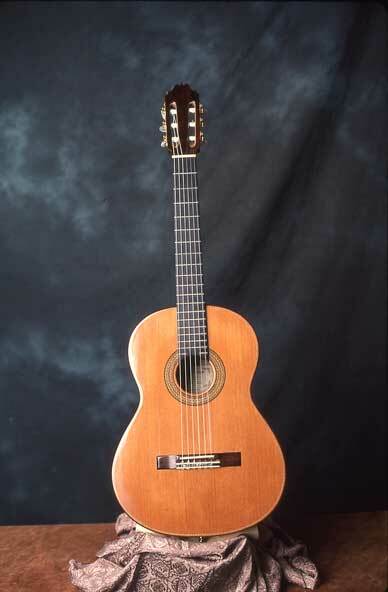 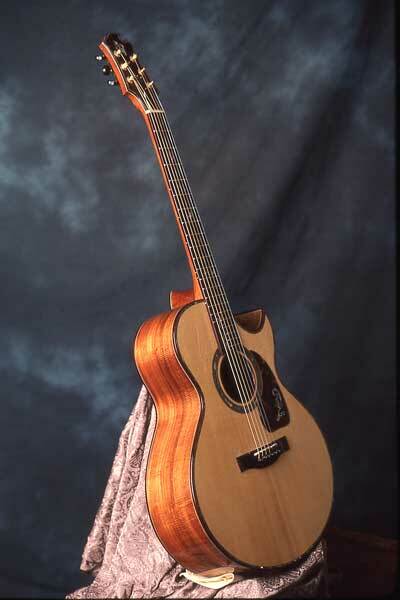 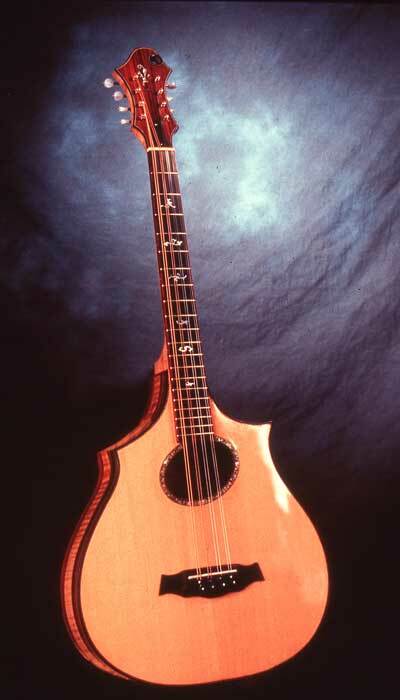 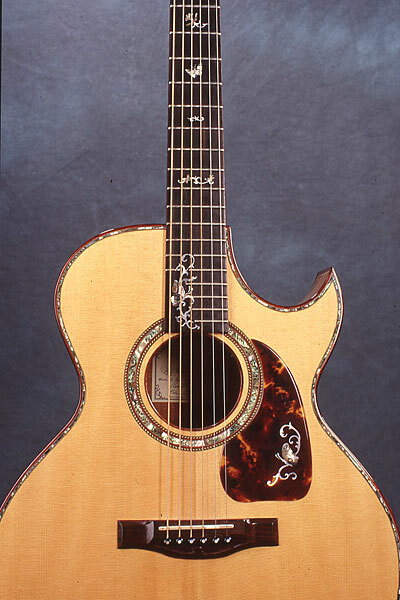 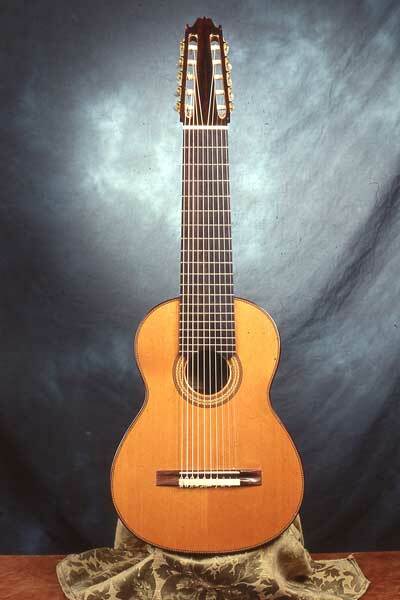 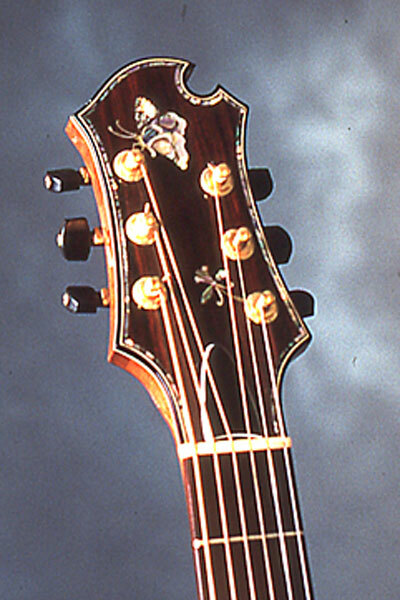 The ten-string guitar, or LAUDARRA has four more bass strings added to the guitar. 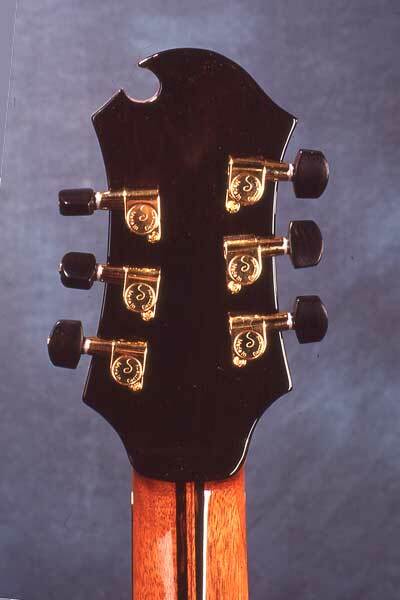 It is tuned down diatonically below middle “C”. 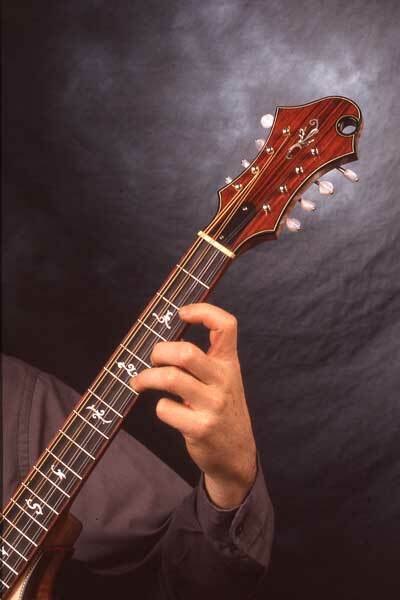 The advantages to this arrangement are primarily that the extra basses execute chord inversions. 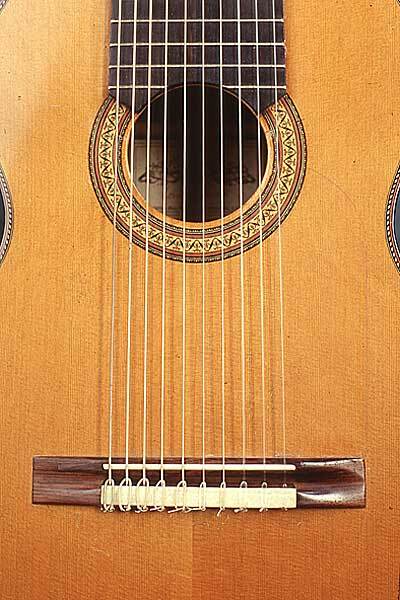 On any stringed instrument, sympathetic vibrations from the unused strings enhance the resonance of the played note. 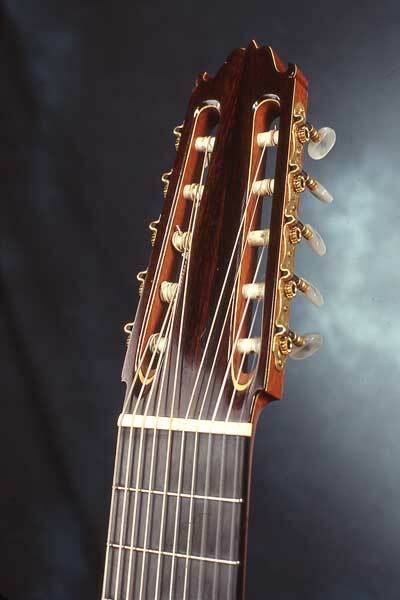 With the Laudarra’s added four strings, all the notes in the chromatic scale receive an equal amount of assistance.